Fiona first became interested in homeopathy was through treatment her daughter received in 2003, which opened her eyes to and led her to undertake a homeopathy first aid course and begin looking at homeopathy as a future career. Fiona studied for for years at the college of homeopathy in Birmingham. Since 2014 when she graduated Fiona has been developing her work as a homeopath, and now teaches short courses as well as offering the full range of homeopathic treatments. Fiona’s Background was originally high powered and highly pressured work s an executive assistant in the live event industry. This background means Fiona is well placed to understand the impact of stress pressure and the environment on our health and well being. Fiona is particularly interested in helping people to find genuinely wholistic ways of living that allow our body’s to heal themselves. 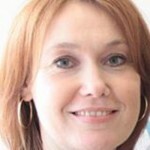 Empowering people to heal themselves working in a friendly and relaxed way is Fiona’s passion now.